Lionsgate/Hunger Games: Mockingjay trailerWhile ‘Mockingjay’ is an exercise in the emotional toll the previous ‘Hunger Games’ have taken on Katniss Everdeen, reviews note the film is essentially a two-hour trailer for next year’s finale. “The Hunger Games: Mockingjay – Part I” is in theatres this weekend, and while the majority of reviews agree the latest instalment of the best-selling young adult series is the darkest film yet, critics have one other consensus on the film: “Mockingjay” is basically a two-hour trailer for “The Hunger Games” finale due in theatres next fall. It’s the latest franchise after the “Twilight” and “Harry Potter” series to stretch its final film across two movies. Nearly every review points this out, with some accusing film distributor Lionsgate of making a break for a fast cash grab. For reference, the first two “Hunger Games” movies have made over $US1.5 billion worldwide combined. “It’s a pretty cynical business plan, and it’s led to a film that feels needlessly padded. Mockingjay — Part 1 is like a term paper with the margins enlarged and the font size jacked up to reach the assigned number of pages. These critiques doesn’t mean the film isn’t any good. The acting chops of Jennifer Lawrence, Philip Seymour Hoffman in his last starring role, Donald Sutherland, and supporting performances of Woody Harrelson and Elizabeth Banks, are the saving grace of the sometimes slow third instalment . Still, the film currently has worse reviews than the previous two “Hunger Games” installments. The first and second films sit at 84% and 89%, respectively, on critique aggregator Rotten Tomatoes. 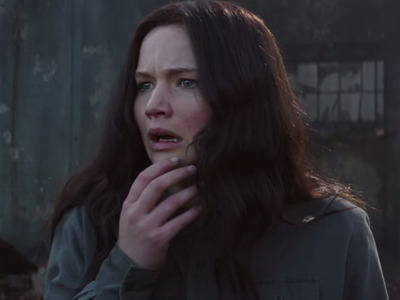 Reviews for “Mockingjay” are more polarising with 69% positive. You can read our review, here.